Powerful iPod / iPhone and DVD Ripper for Mac Software Provider. Read our FAQs (Frequently Asked Questions). Make sure you are using the latest version. If you still can't solve your problem, please contact our support team, do remember to send us the information Version number, Operating System version, Hardware configuration, and The error message . How to register the software? How to use the software? Your iPod/iPhone software can't recognize my iPod/iPhone/iPad. Why? A: There are two possible reasons for the failed recognization. 1. The software you are using is older version. Please download the newest version from our website. 2. The iTunes on your computer is out-of-date. Please update it to the newest version. How can I get the free trial version of the software? What happens after I send the order? 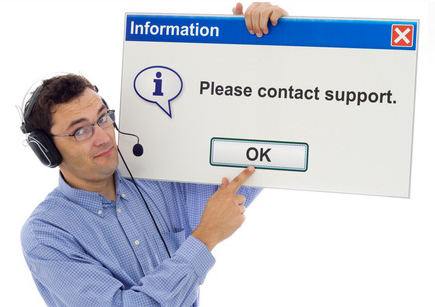 email, please contact us at support@imacsoft.com. We will be glad to help you. I have not received my registration information. Why? If I purchase your software, can I upgrade it for free in the future? from our website. Your original license code is still valid for the update version. I entered the license code you sent me, but the software said "Invalid registration info!". A: There are several possible reasons for the failed registration. don't add any blank before or after the code. products and get different license code for each own. How to register Suite products. If I want a CD-ROM of the software, what should I do? How long will it take to get your supporting response? A: We promise to answer you within 24 hours. But in most cases you'll get our response in a few hours. I lost my license code, can you send it again? find your order in our database in time. to install it on your new one. Use the registration information you got before to register the full version. Do I need to re-register after I re-install the software? A: Yes. You need to re-register after you re-install the software. Am I entitled to a refund? A: You can find certain conditions to apply for a refund here. © 2009-2014 iMacsoft Software Studio, All rights reserved.